This Saturday night Goodgod is being taken over by Sydney’s original female DJ posse Hoops and dancehall’s finest party Dutty Dancing, for a straight up, all night, sweaty, messy, d.floor in the front and back! 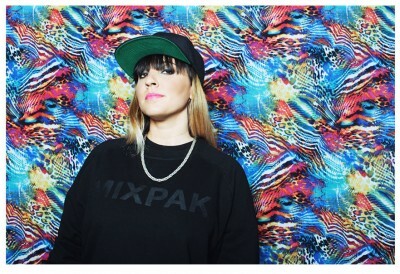 What tops this already massive end of year party is special guest, “Brooklyn Bass Sweetheart” and Mixpak Records famalam, Jubilee will be bringing her bubbly sets to the Small Club fresh from the Mad Decent Boat Party in Miami. Listen to Jubilee’s triple j Mix Up Exclusive over here to get you in the mood. Up front the party that brings out Sydney’s best secret dancers, Dutty Dancing returns and to celebrate a mammoth two year run resident dancehall selector Shantan Wantan Ichiban recently put together a retrospective list of the biggest tracks for our friends over at Two Thousand, listen, learn and start stretching and planning those dance moves, wall flowers ain’t no thing round’ here!